Go Jauntly and Furthermore’s Project Teams spent their weekends at RunHack London 2017 a couple of weeks ago. The ultimate goal of the hack was to come up with ideas to make London the most run-friendly city in the world. Which sounds ideal to us - encouraging walking means supporting the creation of spaces that are safe and accessible to people on foot. With Go Jauntly’s love for getting outside and becoming more active, RunHack was the perfect Hackathon to get involved in and come up with some ideas along side the Furthermore Project team. The team identified what they were going to focus on: aiding runners needing to get through large groups of people in congested areas and improving the confidence of runners who were worried about encountering verbal abuse. 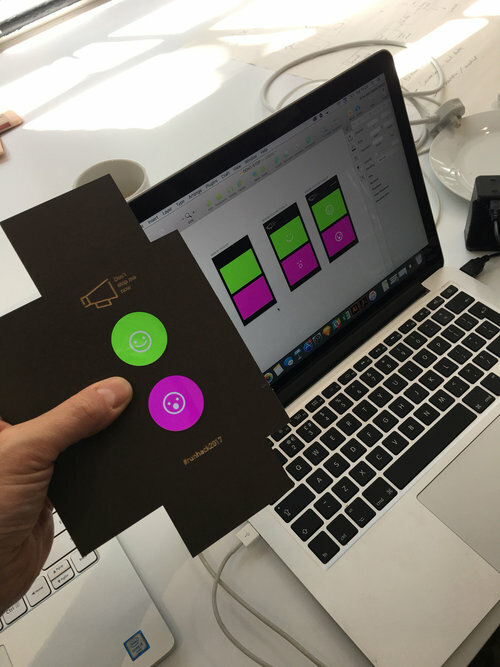 The team set to work creating a prototype which they then went on to test in the streets of London. The team used off the shelf hardware with the limited time available to them: an iphone and a bluetooth speaker. Using laser cut card, velcro, and tape the team then modelled the prototype product. This let the team test the tactile parts of their solution. 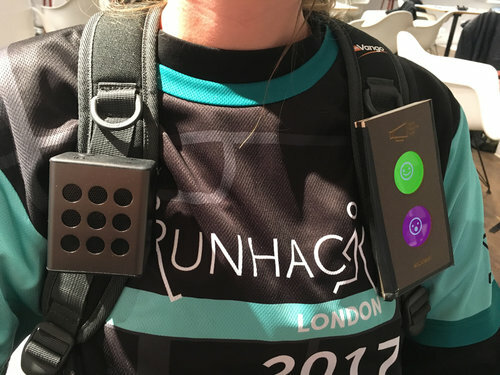 The basic idea was 2 buttons runners could press whilst running which would emit a loud sound from a Bluetooth speaker, alerting passers by of the approaching runner. Using Firebase the team were able to track every time each button was pressed on a live map, which would be a key element for future users, showing them where congested areas were or an incident had occurred.